The Beau Biden Foundation for the Protection of Children and the Cowhey Family Supermarket are partnering once again this Spring to help stop and prevent child abuse. 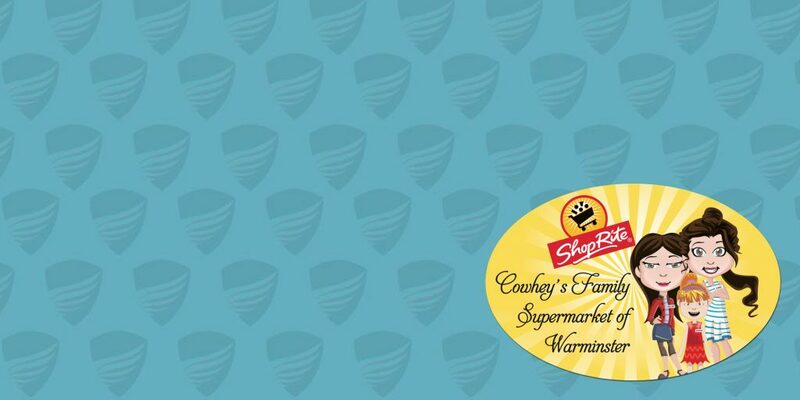 Starting Sunday, March 17, 2019, customers of the Cowhey Family ShopRite of Warminster will have an opportunity to donate $1.00 (or more) to help facilitate prevention and awareness trainings in Bucks County. 3. The Foundation’s Shield of Protection Initiative® for youth serving organizations (helping them assess and improve their child protection policies, procedures and programming). Over the last year the Foundation has conducted over 30 training sessions with Doylestown Health – training 600 health professionals in Stewards of Children. Funds raised in the checkout lines of the ShopRite of Warminster from March 17 through July 4 will be concentrated toward working with county schools to provide this critical training to teachers and faculty, as well as expand the Beau Biden Foundation’s footing in the Bucks County area. This programming will impact thousands of children and families. Thanks to the generous people in the Bucks County area kids will be safe, the community will be stronger, and Beau Biden’s vision for a world where children can grow up safe from predators will be fulfilled. To continue to receive information about the Foundation or to signup for our newsletter, please complete the form at the bottom of this page.